Wearing a seatbelt doubles your chances of surviving a serious crash yet despite the benefits shown by road safety research, time and time again too few people buckle up their seatbelt. 30% of all drivers and passengers killed and 8% of vehicle occupants seriously injured are not wearing a seatbelt at the time of the crash. Many of these deaths and injuries could have been prevented, or be less severe, if the people were wearing a seatbelt. Some of these passengers were children. A restraint or seatbelt will not work at all if it hasn't been correctly fastened. Buckle up - and you double your chance of surviving a crash. 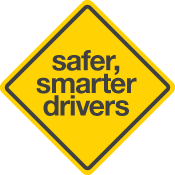 The severity of injury received in crashes, especially injuries to the face and head, is significantly lower if occupants wear their seatbelts. Wearing a seatbelt can be a life or death decision - both for you and your passengers. 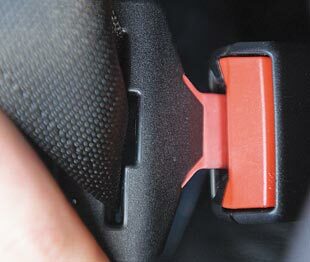 Seatbelts must be worn even if you are only travelling a short distance because most road crashes happen close to home. For someone not wearing a seatbelt, a crash at 40km/h is like falling from a two storey building onto concrete. Passengers not wearing seatbelts can kill or seriously injure others in the car if, for example, the driver has to brake suddenly. By law, drivers must ensure that they and any other passenger in the vehicle are wearing their seatbelt, regardless of their age. However, passengers are still accountable, as both drivers and passengers aged 16 years and over can be fined if they fail to wear a seatbelt. Demerit points also apply. While airbags help reduce injury, they are no substitute for wearing seatbelts. The airbag increases the benefit of a seatbelt. Australian tests have shown that an airbag reduces the chance of a serious head injury by at least 50%. A child that is properly secured in an approved child restraint is less likely to be injured or killed in a car crash than one who is not. Children are at greater risk of serious injury when travelling in the front seat. The National Child Restraint Guidelines recommends children 12 years of age and under are safest in the rear seat, regardless of the type of restraint they are using. have a buckle that works. Teach child passengers about the importance of restraints and seatbelts - and don't start the car until they are all correctly restrained. 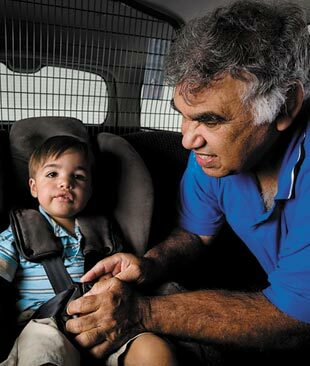 Always use seatbelts and child restraints that are Australian Standards approved and correctly installed.